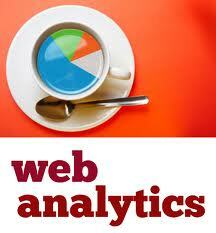 In analyzing the data, these tools will give, you can improve your website so that visitors have more. Some sites offer very detailed statistics with eg visitors' browsers, operating systems, the size of the screen, the origin of visitors ( a search engine, another website. .. ), ... The list goes on. This list of statistical tools is not complete, it is particularly good sites that are presented here. If you know others who might complete this list, I would appreciate complete the form to add a statistics tool . Click Tracks Unknown English A tracking tool for professionals and businesses that displays visitor navigation directly on the pages of your site. GetClicky Not English Many options but paying. webtrends Unknown English One of the most popular apps for a while, offering different solutions and packages for different categories of professional websites.